Schools out, and that’s reason enough to bounce around. But with this brilliant deal at Bounce, the UAE’s biggest trampoline park, you’ve got twice as much reason to be jumping for joy. Running throughout the school holidays from March 28 to April 13, all Bouncers can get a two-hour super pass for just Dhs100. Considering an hour is usually priced at Dhs85 – that’s a great saving. Found in Marina Mall, Abu Dhabi, Bounce is a mega indoor playground where visitors can fly through the air, bounce off walls and embrace their inner child with every leap. 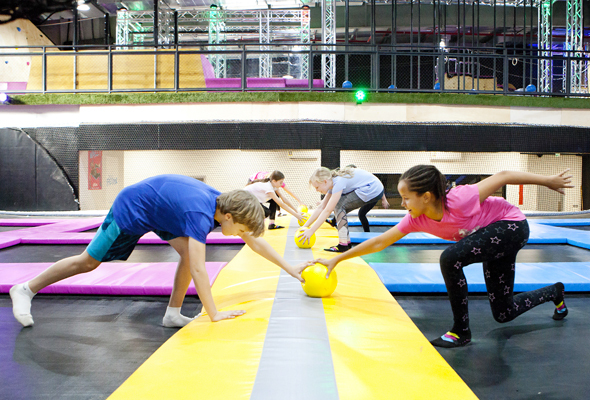 Whether you’re trying to master your first backflip into the Big Bag, learning how to run up The Wall (yes actually, they’ll teach you how to walk up walls), or just looking for a high-adrenaline way to have some fun, Bounce is a brilliant way to up your skills. 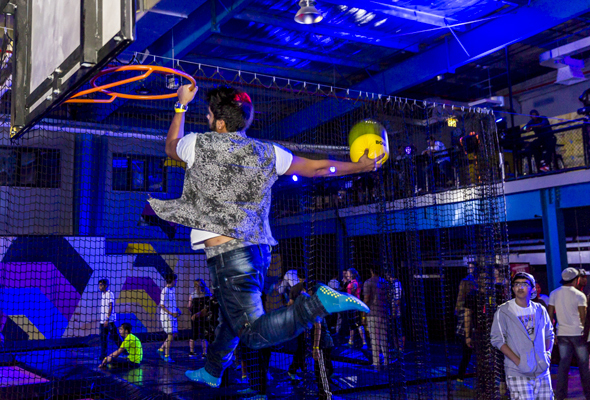 Split into several different areas, there’s a free jumping arena – for bouncing around at leisure, the slam-dunk – where you’ll combine your basketball and trampolining skills, and The Big Bag where’ll you’ll bounce your way into a huge inflatable bag for a guaranteed soft landing. There’s also X-Park, a free-running meets obstacle course area filled with adrenaline-filled challenges to make your way around.